Your private tour - your adventure ! The Isle of Skye is magical, it is wild and beautiful. We take you to some of the wildest places in Scotland, following coastal roads and criss-crossing the island on mountain tracks. 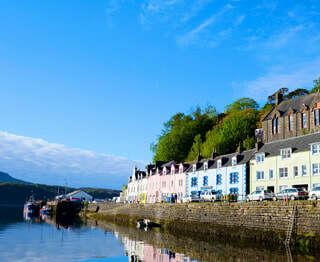 You'll travel in a small group with a local Scottish guide to discover Scotland’s bloody history and hear stories that have tumbled down through the years. You will see, magnificent sea cliffs, mountains, lonely glens, lochs and fairy castles. On our tours there is plenty of time to explore on your own. Take your time, take your own unique photographs. 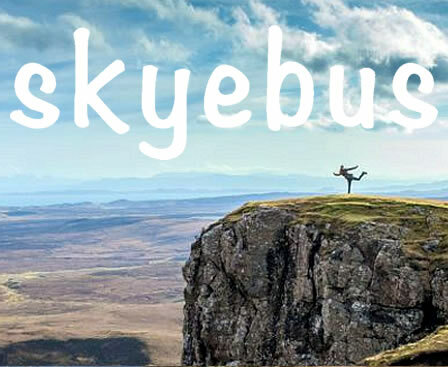 See Skye from your perspective and make memories that will last a lifetime. Skye is fragile, much of Skye is working farmland. 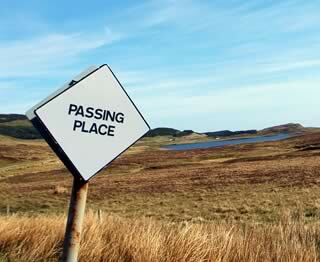 Please remember to follow the Scottish Outdoor Access code at all times. We must never leave litter, disturb livestock, disturb wildlife, move/dislodge stones, damage vegetation or pick wild plants. We work with local communities and support rural business when ever possible. Bill provides an excellent full day tour of Skye. He is a fantastic story teller and genuinely nice guy. He balances this full day out with walking time to explore the sights, so you are not in the minibus all day. But when you are, you are treated to breathtaking sights, and occasional stories that make the place come alive. Also, excellent Scottish music to fill some of the time as well. Truly the best day of a wonderful 11 day trip to Scotland. I can't recommend it highly enough. Click here for our departure point.